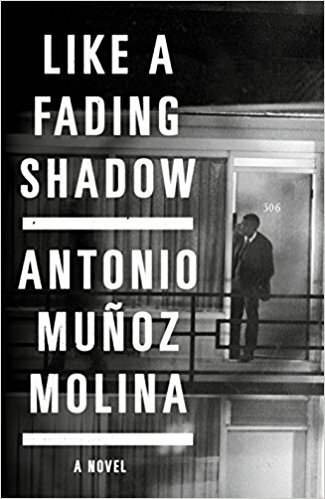 Like a Fading Shadow is the seventh of Antonio Munoz Molina’s novels to be translated into English (by Camilo A Ramirez) but it would be fair to say he remains largely unknown in both the UK and the US. Those previous novels suggest a writer fascinated by history, and Like a Fading Shadow is no exception, a novel set in three different time periods in the city of Lisbon. 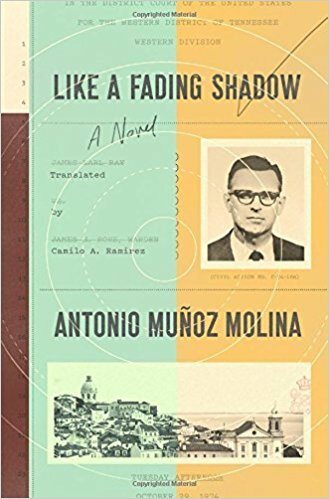 In one Molina recreates the ten days spent there by James Earl Ray in the aftermath of his assassination of Martin Luther King in 1968; in the second he recounts visiting the city in 1987 when he was writing the novel which became Winter in Lisbon; and, thirdly, there is a contemporary section covering his research for the novel we are reading. His trip to Lisbon is ostensibly to work on his novel but he wonders if “maybe I just wanted to escape for a few days and literature was my excuse.” Despite Molina’s attempts to yoke the two narratives together, however, (“I was leaving like a spy who has accomplished his mission”) they remain very different, though in both we see the tension between the identities society imposes on us and those we create for ourselves. I found Ray’s story fascinating, though largely in a ‘true crime’ kind of way; Molina’s confessions are less interesting as they feel far from unique, and drifts as the novel progresses. A story of meeting Juan Carlos Onetti is more a curio than an insight. More generally, the novel runs out of steam before the end, and a final section written from the point of view of King arrives too late restart the engines. Above all, though, it is Molina’s failure to make the parts of the novel a greater whole which leads me to suspect this will not feature on the Man Booker International shortlist. You are currently browsing the archives for the Antonio Munoz Molina category.